Anime fans will be saying farewell to "Dragon Ball Super" as another well-loved anime takes its place starting in April this year. Anime fans were first alerted of the coming change when Toei Animation recently announced that a new anime adaptation of another long-loved anime/manga franchise, "GeGeGe no Kitar," was going to start airing on Fuji TV network from 9 a.m. on Sunday, April 1. "GeGeGe no Kitaro," which chronicles the adventures of the boy ghoul Kitaro who battles to protect humans from various yokai monsters, is a franchise that the Japanese public has been familiar since its first anime adaptation aired in 1968. There’s sure to be plenty of fans who were delighted with the news of a new anime series, but the announcement raised one big question: 9 a.m. on Sundays is currently the "Dragon Ball Super" time slot, so does that mean "Dragon Ball Super" is going to end? SoraNews24: So is "Dragon Ball Super" going to end? Fuji TV: Yes, the current series will end for the time being. SN24: Really? It’s not moving to a new time slot? Fuji TV: No, the series will finish for the time being, and no definite plans have been set for the future. SN24: When you say it will finish for the time being, does that mean the "Universe Survival Saga" will come to a close? Fuji TV: Yes, that’s right. The "Universe Survival Saga" will finish at the end of March. SN24: Will the series continue at a later time? Fuji TV: Nothing has been decided yet, so we cannot say at this time, but if and when there are any developments, we will certainly announce it via press release. So it’s true. 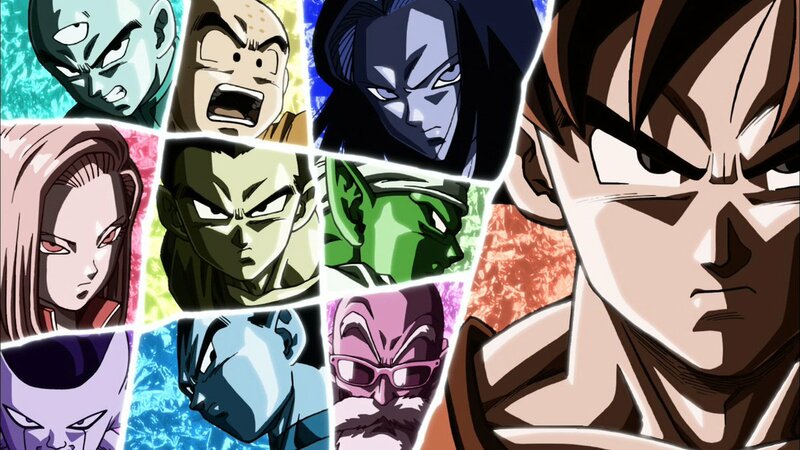 With the “Tournament of Power” currently in full swing featuring the toughest and strongest characters we’ve seen so far battling for the survival of their respective universes, it’s hard to imagine, but the series really is drawing to an end in about two months. They’ve also announced it on the official "Dragon Ball Super" Twitter account. Fans are already expressing sadness over the loss of their favorite show, but many have also expressed appreciation for the series bringing "Dragon Ball" back to TV. Others have also mentioned that the voice actors, including 81 year-old Masako Nozawa who voices Goku, surely deserve a break. But as it so happens, Nozawa and several other voice actors from "Dragon Ball Super" will be taking on roles in the upcoming "GeGeGe no Kitaro" anime, so it looks like they won’t be getting a break after all. We know "Dragon Ball Super," which began in July of 2015, has already been airing for a longer period than many anime. Somehow it had felt like the series would go on forever. But then, all good things come to and end, don’t they? We guess we’ll just try to enjoy what we have left of the series to the fullest extent. And we still have the movie in December to look forward to, but we know we’ll miss you, Goku! I watch DB Super on Crunchyroll and the English dub on TV. Now that the show's ending, it's time for me to binge on CR right till April. BTW, Goku's seiyu (Nozawa Masako) wil be the new voice of Medama Oyaji in the new Kitaro series, as well as Piccolo's seiyu (Furukawa Toshio) as Nezumi Otoko!